This is the discussion related to the wiki page	SCP-007. It has the same "mini planet" concept as this, but I personally find 756 much more interesting. Putting the planet in some random guy's body adds to the WTF factor, but not in any significant way. Well, it's a matter that this came first. In fact, it's quite old. Buuut, I do like 756 more than this. See, and I prefer this version, but I do like the idea that the two may be connected. What if the phenomena of small planets forming in people's bodies is a disease? Someone skilled at writing could decomission both of these and merge them into a single article. I would like that idea, if it where not for the fact that it would constantly remind me of Discworld, there is a reference there of a wizard who was exposed to a high magic environment "coming down with planets." I just read that part (it's from "The Last Continent", and the Bursar is the one affected by it), and it has nothing to do with either of these: The planets are circling around his head as a metaphor for the Bursar's savantry, and aren't even solid. I wouldn't mind some more Discworld references for the Foundation, other than one line in the 914 log. I really like this one, it always sticks with me and pops into my mind from time to time. Really reminds me of something you'd see in a tool video. So, it is established that the planet with does not make any physical contact with its host. But does that preclude him actually touching it, or interacting with it. If that were me, I'd have done poked at it a little and started making a few landscaping changes (while trying not to squish inhabitants). Also, if the denizens of the planet are sentient, and have 15th century tech, then they probably have discovered astronomy. At the very least, they are studying the sky above them and wondering about the host and the other giant creatures that walk by their heavens. Probably not anything to add to the scip, but certainly material for a tale or two. I do rather like this one by the way. It’s the combination of weird thing happening to Joe Blow, coupled with him no longer existing in official records. I just like the fact that he's just like " Meh I woke up with this one day but everything's cool". Could be funnier (that is if you're writing a funny one, which I hope to god you are) if you added more personality to the people on the planet. I wonder what would happen if the tiny civilization invented space travel…. Dual-classes SCPs have long been a pet peeve of mine, so I'm gonna do something about it. This guy I changed from Safe/Euclid to just Euclid since, in my mind, both sentient creatures and sentient collectives default to Euclid, and nothing in the article leads me to believe the Foundation is treating 007 as a Safe object. Note that this is a unilateral decision, and as such is subject to mod/admin override. It's also, as always, subect to commentary from the hoi polloi. Not with the change to the object class, that's spot on. I just object to the idea of you having free will. It goes against the grain. Noted. I'm working out a semi-cogent argument for further deslashments, but that's for another thread (and for after some sleep). When he wakes up, he'll believe he has a cognizant argument, but that will flutter away as consciousness firms up. Mann, quit messing with my control group, it's unseemly. I agree with this, but it's sitting at +69, so it doesn't really need changing. When the little people living on the planet start trying to take over the rest of his body or leave their planet, let me know. I'm having trouble visualizing the Subject, as 60cm diameter is a quite large sphere (a basketball has around 25cm diameter). Does the planet reside in a cavity with only one opening? His torso would be very deformed to house it. 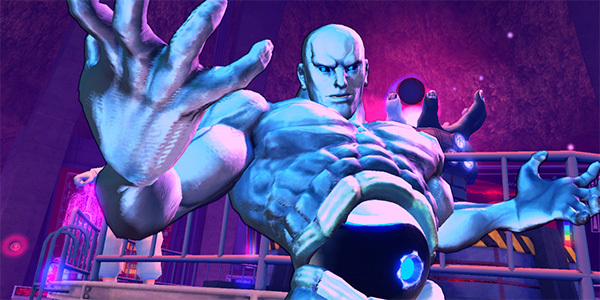 Or is his body like Street Fighter IV's Seth, his torso and legs not in contact?